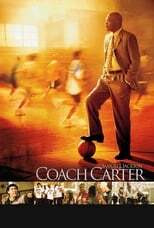 Coach Carter: Well...not exactly your storybook ending huh...but you played like champions...you never gave up...and champions..they hold their heads high. What you achevieved goes way beyond what'll be on the front page of tomorrows paper...what you acheived some people search their whole lives to find...and gentlemen...I am so proud of you. 4 months ago I came to Richmond with a plan..and that plan failed...I came to teach basketball players and you became students...I came to teach boys, and you became men. And for that I thank you. If some walked up to me and told me I could coach any school in the state...you know who I'd choose?